This week's Saturday G/45 Quads were made up of 5 sections. 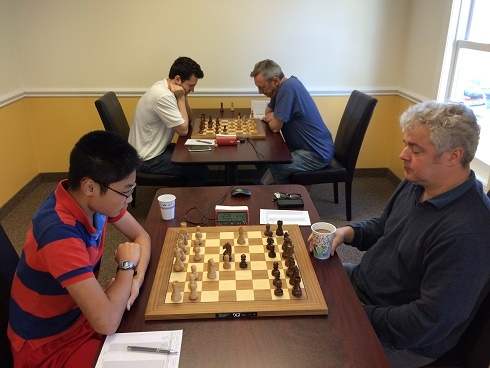 In the first section, Dennis Li took home first place with 2/3 total points. 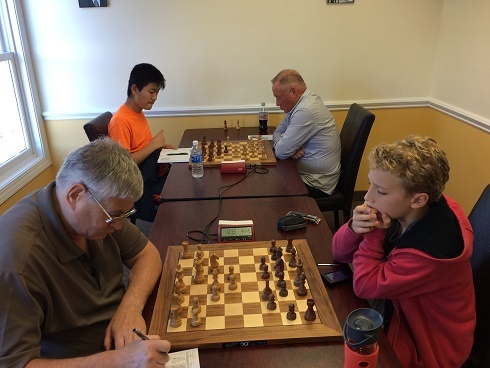 Eugene Ulyanov played a flawless game in the second section and earned a perfect score of 3/3 total points! In the third Section, Stanley Guttman earned 2/3 total points and his spot in first place. Luis-Joshua Casenas and Shailen Smith tied for first place in the fourth section with 2/3 total points each. And finally, in the fifth section, Yikuan Zhou and Jeffrey Zhai also tied for first place with 2/3 total points each. Congratulations to the winners and thank you to all participants! We hope to see you soon!